The Cuckoo in Alwalton is a country pub oozing rural charm and rustic character. Our picturesque surroundings provide the perfect backdrop for savouring the hearty, seasonal pub-food on our menu, and the carefully nurtured cask ales and fine wines gracing our bar. 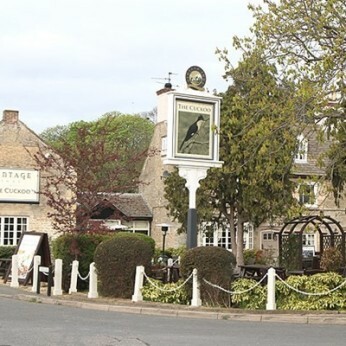 The Cuckoo began life as a stables in the village of Alwalton, before becoming the Wheatsheaf Inn. The pub restaurant has a deep rooted history in the village of Alwalton a history that is intertwined with that of Rolls-Royce. For many years The Cuckoo housed some of the most highly skilled workers in the town when the town was famed for its luxury cars.